3. 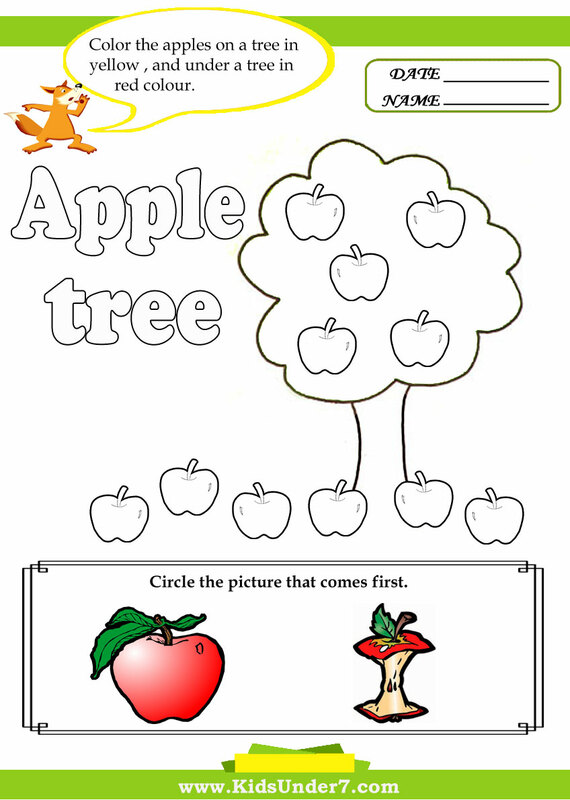 Color the apples on a tree in yellow , and under a tree in red colour. 4. 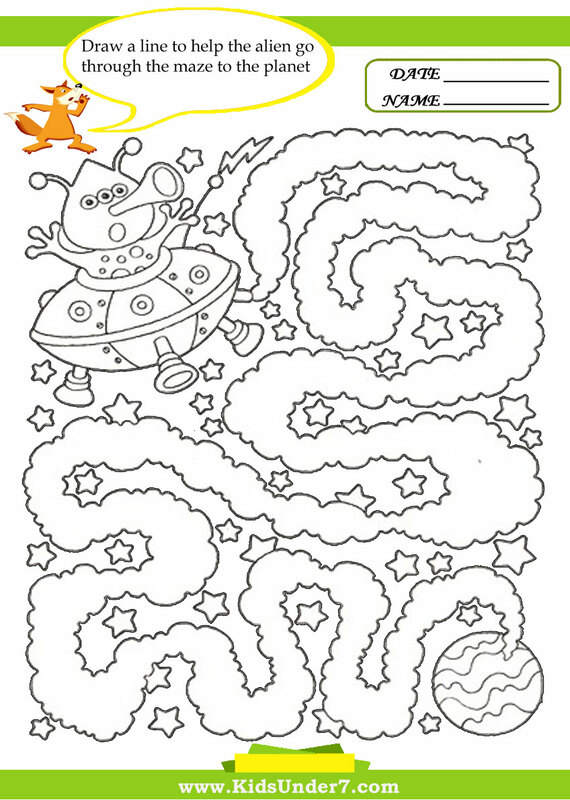 Apple alphabet coloring page .Count the number of apples. 6. 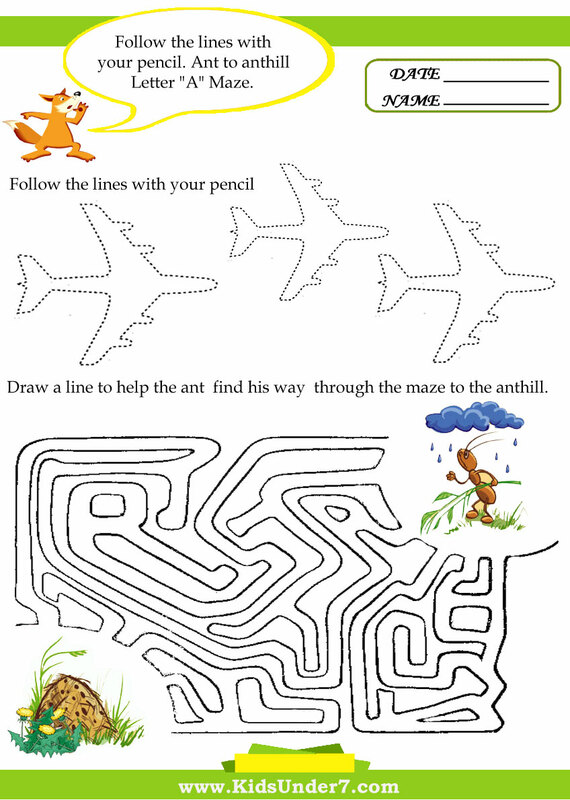 Ant to anthill Letter "A" Maze.Draw a line to help the ant go through the maze to the anthill.Follow the lines with your pencil. 7. Only two of this pictures are identical. Can you spot the matching pair? 8. 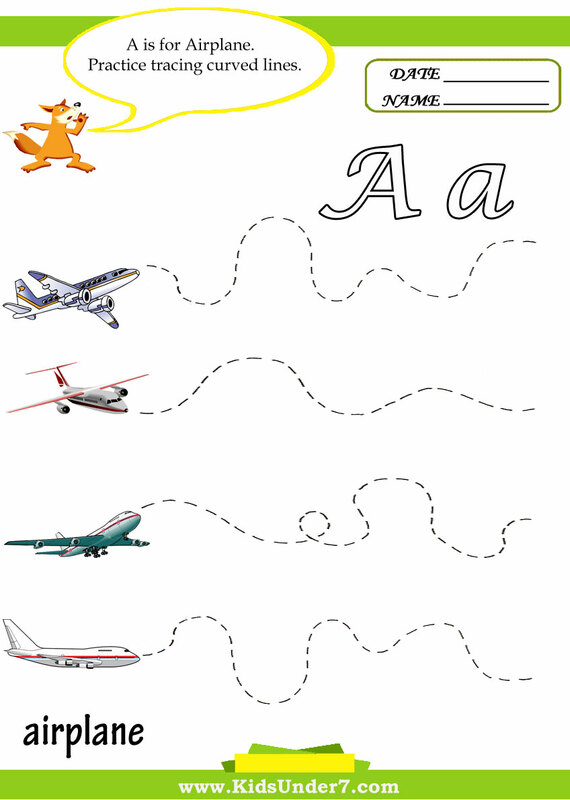 A is for Airplane.Practice tracing curved lines. 10. 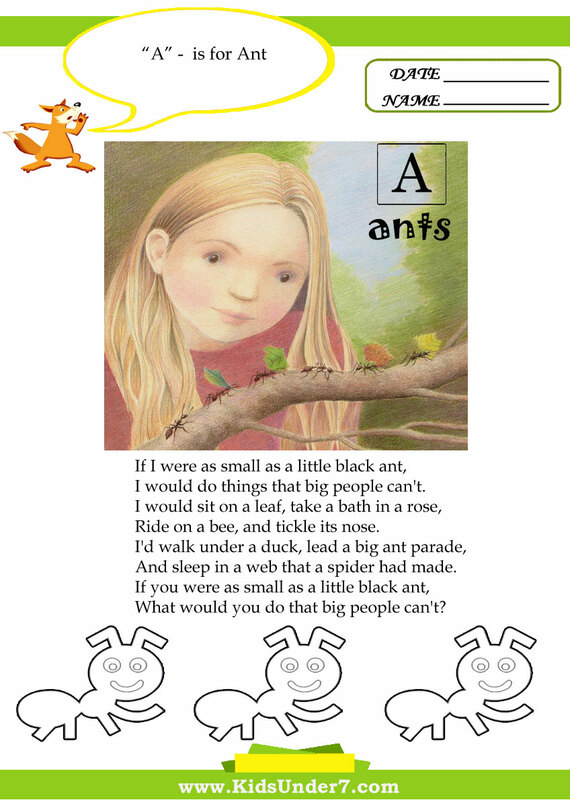 A is for ant. 11. Draw a line from each word on the left to the matching word on the right side. 13. 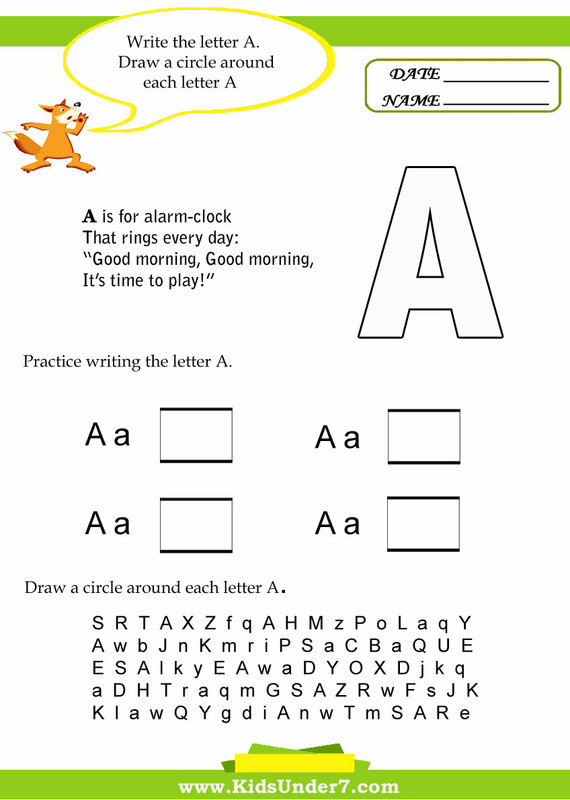 Practice writing the letter A. 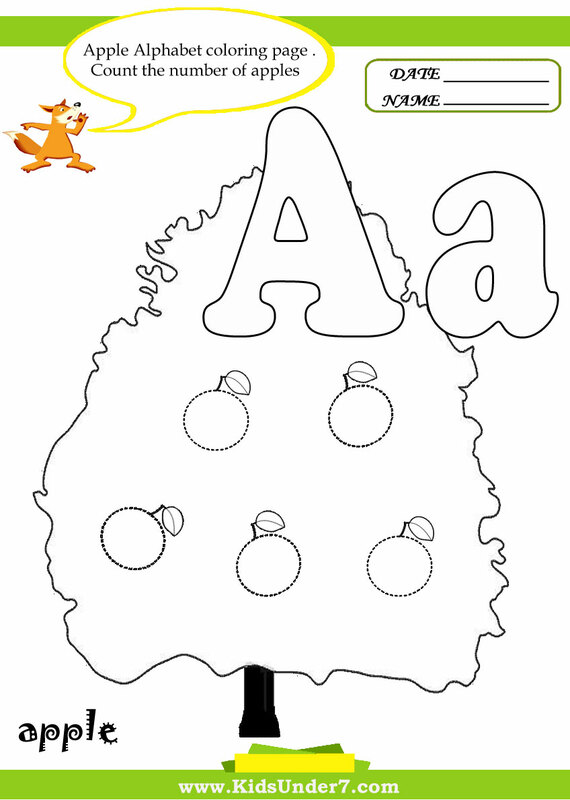 Draw a circle around each letter A.
click on image to open in a new window and print. 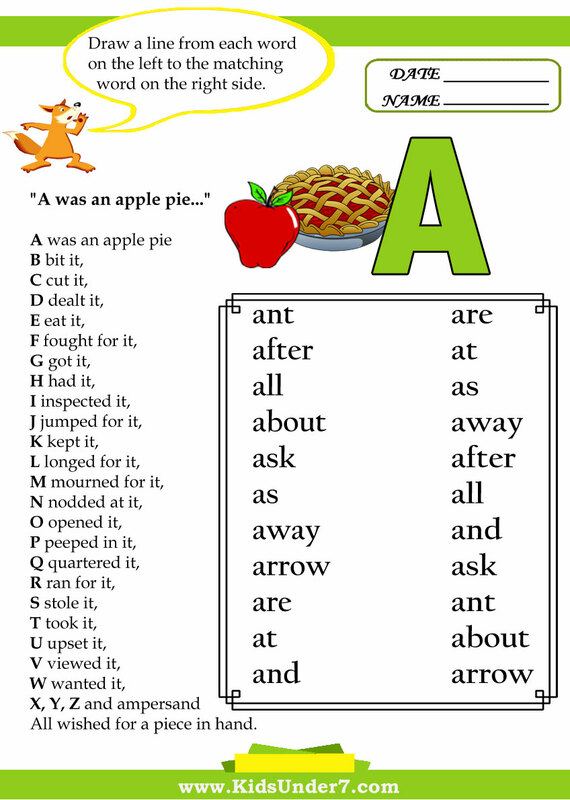 "A was an apple pie..."
А is for apples and apple-tree. 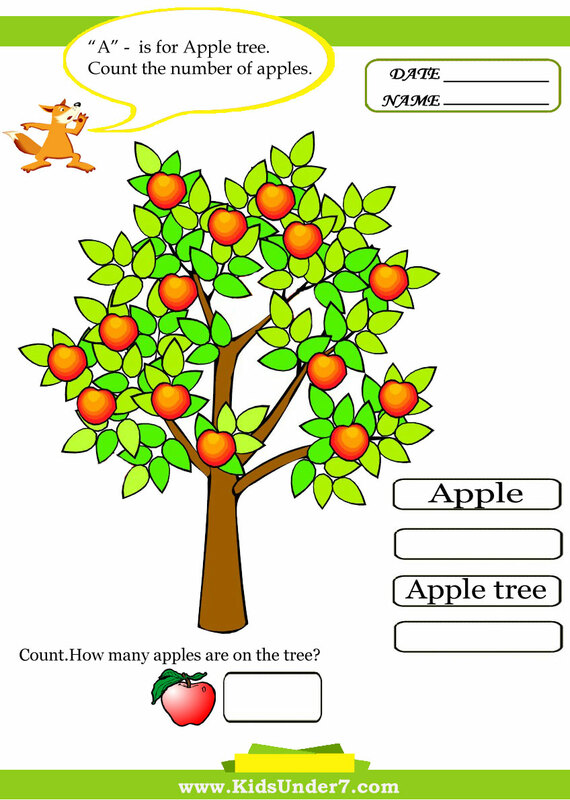 You can see apples on the apple-tree. 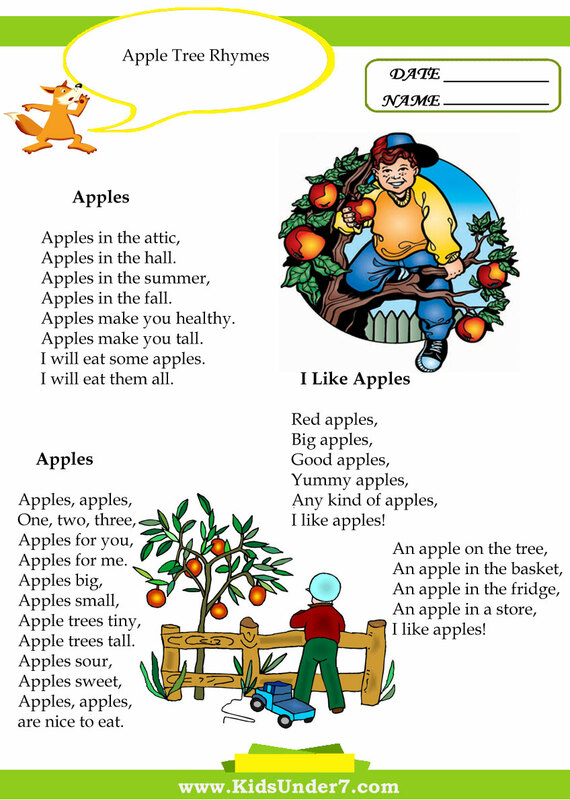 I will eat some apples. I will eat them all. I would do things that big people can't. Ride on a bee, and tickle its nose. And sleep in a web that a spider had made. What would you do that big people can't? 1.What is the largest ant in the world? 2.In which month do monkeys play baseball? 3.What clothes does a house wear? 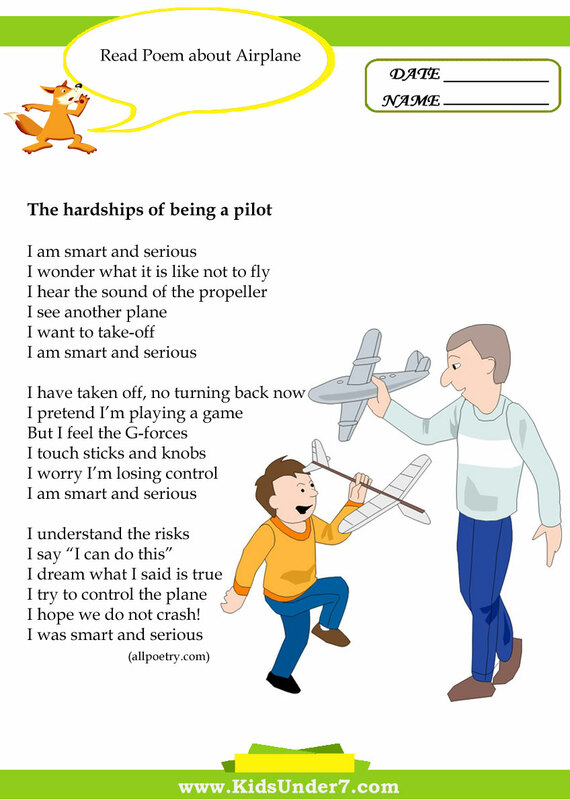 4.What goes up, but never comes down? 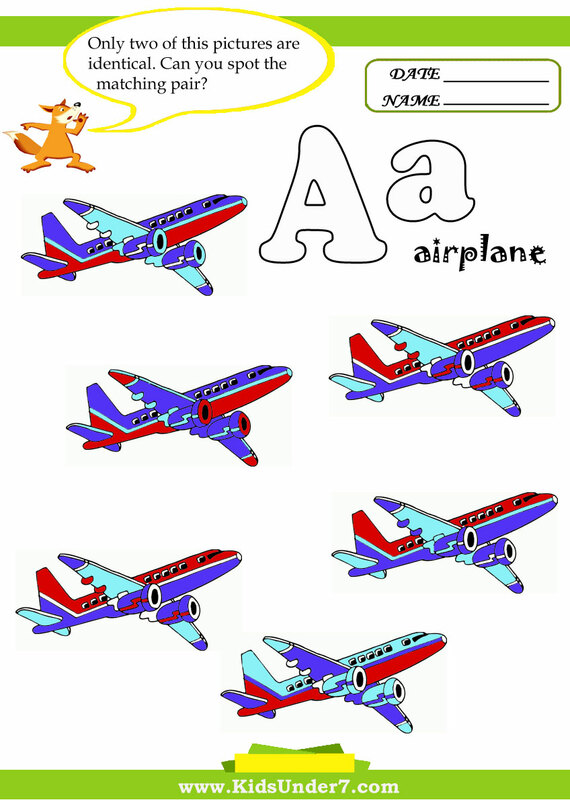 5.What common English verb becomes its own past tense by rearranging its letters? 6.What is the correct way to file an axe? 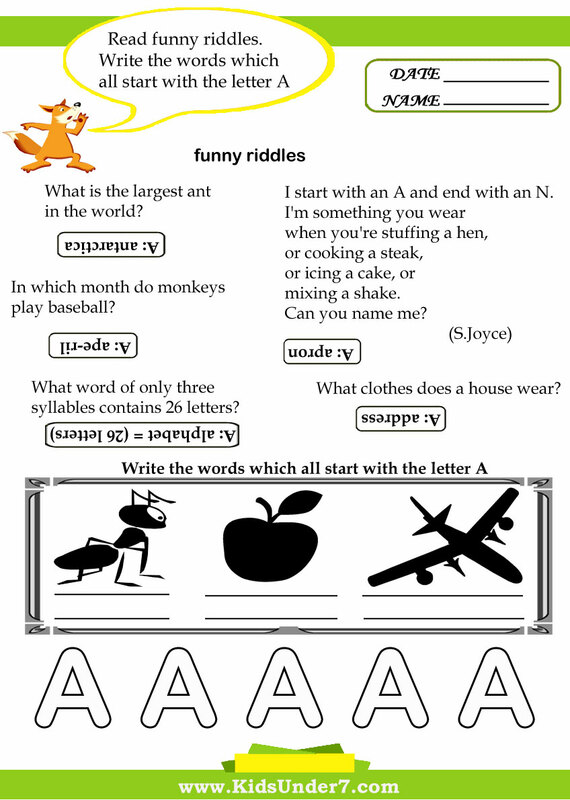 7.What word of only three syllables contains 26 letters? I start with an A and end with an N.